Topology of the neural network used in this project. Each box represents a layer of neurons, with the number of units indicated in parentheses. Dense layers are fully-connected, non-recurrent layers. One of the outputs of the network is a set of gains to apply at different frequencies. 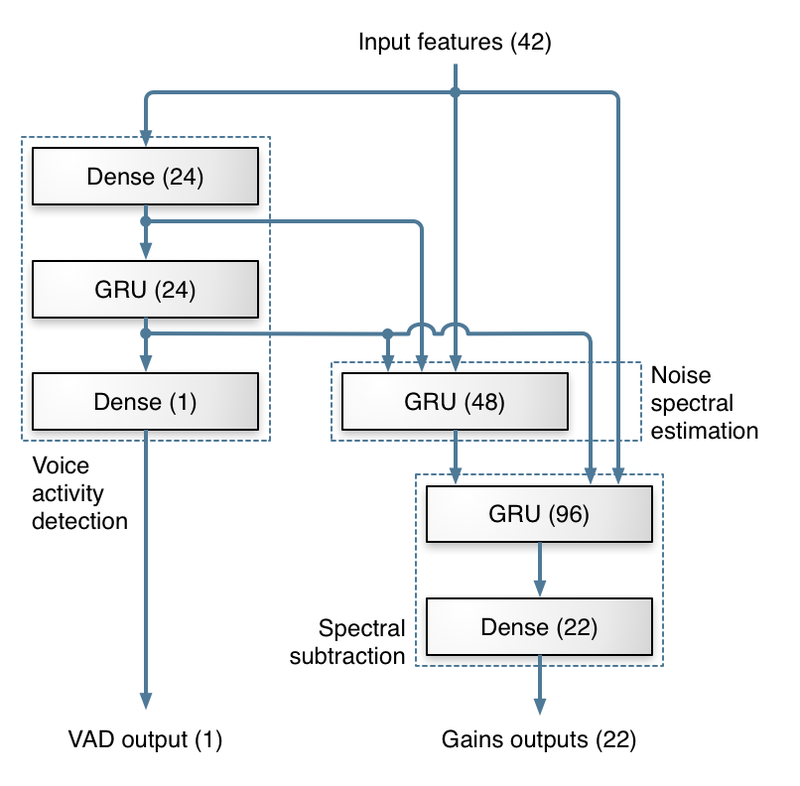 The other output is a voice activity probability, which is not used for noise suppression but is a useful by-product of the network. 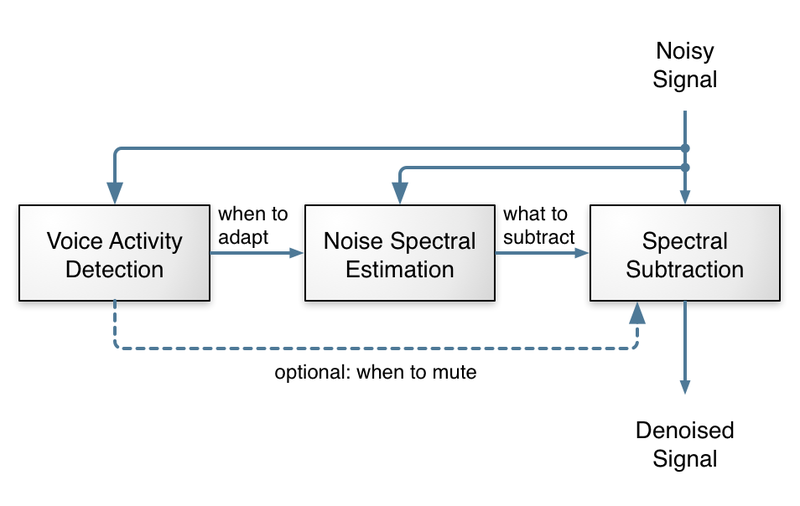 Evaluating the effect of RNNoise compared to no suppression and to the Speexdsp noise suppressor. Although the SNRs provided go as low as 0 dB, most applications we are targeting (e.g. WebRTC calls) tend to have SNRs closer to 20 dB than to 0 dB.